In conjunction with The University of Tampa’s Center for Ethics in the Sykes College of Business, the UT Honors Program hosted Keith Campbell, Professor of Psychology at the University of Georgia. 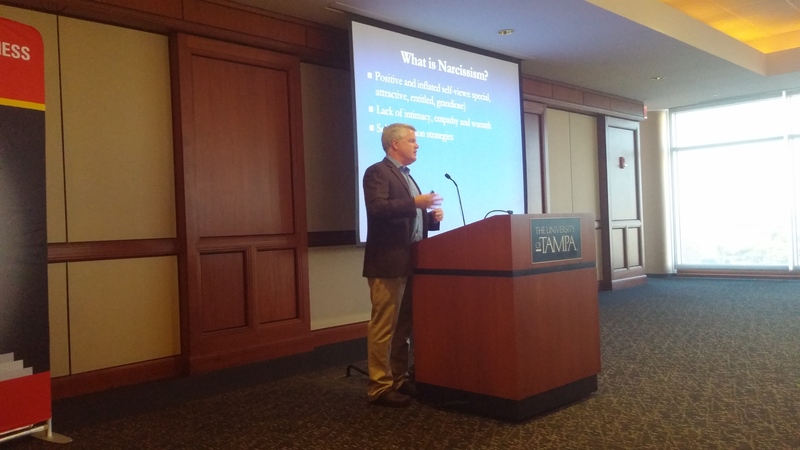 Dr. Campbell discussed his research into narcissism. He explored some of the instruments used to measure narcissism and examined how narcissism influences interpersonal relationships, leaderships styles, and corporate behavior.